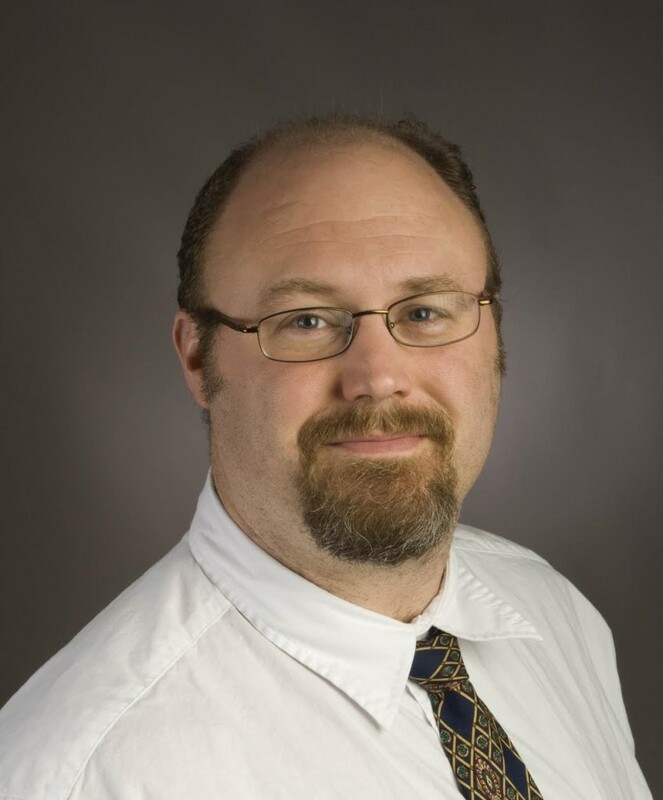 Dr. David Beversdorf is an Associate Professor of Radiology, Neurology, and Psychological Sciences and holds the William and Nancy Thompson Chair of Radiology at the University of Missouri. In addition, David is the Director of the Cognitive Neuroscience Laboratory at the MU Thompson Center, Director of the Center for Translational Neuroscience and Director of Graduate Studies for the Interdisciplinary Neuroscience Program there. He received his M.D. from Indiana University School of Medicine and completed a Neurology residency at Dartmouth. David then completed a fellowship in Behavioral Neurology at the University of Florida and served on the faculty at Ohio State University before joining the faculty at the University of Missouri where he is today. David is here with us today to tell us all about his journey through life and science. David can often be found during his free time working out at the gym. He powerlifts competitively, both nationally and internationally. For David, this is a great way to relieve stress and is relatively easy to fit into his busy life. In addition, he is a father of two and enjoys spending time with his wife and kids. He and his colleagues are investigating causes of autism. In particular, they are examining the effects of environmental factors, prenatal stress, and interactions with genetics to elucidate potential mechanisms. David’s lab is also studying a drug that is currently used to manage stress and performance anxiety to determine whether it might benefit people with autism. Other research topics in the lab include the effects of stress on gastrointestinal problems in autism, how stress affects cognition in those without autism, and aspects of neurodegenerative disease. David has always been interested in science, although this interest was pretty vague until college. He enjoyed science classes and liked working with people, so he decided to go to medical school. During college, David participated in a genetics research project, but it didn’t really capture his interest. While in medical school, he conducted a summer research project investigating neuroplasticity that really introduced him to how exciting research could be. About 8 years ago, David and his team were working on a project examining how a particular drug impacted cognition. He wanted to run an experiment with a large sample size and high statistical power. Everything looked great during the small-scale experiments, but when they ran the experiment with 72 participants, there was no effect. Initially this was really frustrating and confusing, but when they looked deeper, they discovered something even more interesting. David’s laboratory had an interesting finding related to interactions between genes and stress in autism development in a relatively small data set with about 60 families, and they were hoping to expand this project further. They were able to connect with fantastic collaborators who were working in the same area and confirmed their initial findings in the collaborator’s independent data set. This really strengthened their results, and they have continued to move forward and make progress in this line of research. For David, the travel opportunities you have in science are wonderful, but can be a bit tiring at times. Though he has been to many fantastic places, his favorite is San Sebastián where he attended the International Meeting for Autism Research. This city has many highly rated restaurants, but David skipped these to enjoy the delicious fare at different tapas bars. This trip to San Sebastián allowed him to explore a beautiful place and provided a wonderful cultural experience. Some of the things that David highly values as a physician scientist are being able to work directly with patients and knowing his research might help them. In addition, he has developed a few fun traditions that he enjoys with his lab members and colleagues. They have begun holding grant meetings in bars and pubs where they can freely discuss potential projects, stay open-minded, and come up with innovative ideas. This tradition led to his choice of a personalized bottle opener gift that he gives each student or postdoc who works in the lab. If you are looking to grow your career in a particular direction, find as many people as you can who are doing the same thing, and find out how they got there. Choose mentors whose trainees have been able to go on to have successful careers. Also, let your mind wander freely sometimes to come up with clever ideas. When you have a new idea, make sure you take the time to think about and assess it thoroughly before pursuing it. After 10 years on faculty at The Ohio State University, David moved to the University of Missouri to expand the research efforts at the Thompson Center for Autism and Neurodevelopmental Disorders. He has also served as a member of the American Academy of Neurology Science Committee and Translational Science Subcommittee, and as the Chair of the American Academy of Neurology Animal Research Task Force. In addition, David serves on the editorial board for the Journal of Autism and Developmental Disorders, as associated editor of Research in Autism Spectrum Disorders, and is a member of the NIMH BRAINS study section and a regular ad hoc member of the NIH BMIO study section. He is currently involved in research on autism, dementia, cognitive effects of stress, the cognitive neuroscience of problem solving ability, functional neuroimaging, and pharmacological modulation of cognition. David has a particular interest in pharmaco-functional neuroimaging and MR spectroscopy as a potential treatment marker, and gene/stress interactions in the development of autism. He has received grants from NINDS, NIDA, and the National Alliance for Autism Research, as well as HRSA for his work on problem solving, neuropsychopharmacology, and pharmaco-fMRI with applications in autism and cocaine withdrawal. He also has funds from the University of Missouri Research Board to develop fMRI research on the effects of stress on cognition, and funds from the Kansas City Area Life Sciences Foundation and MizzouAdvantage and from IDIC for his work on gene/stress/diet interactions in the development of autism and for elderberry juice in mild cognitive impairment. He also has a READ grant from the Interdisciplinary Center on Aging to examine the stress/diet interactions in dementia. He is listed among ‘The Best Doctors in America’ among Neurologists (since 2007). Outside of the sciences, David competes nationally and internationally in bench press competitions, still practices piano when he can, and enjoys spending time with his wife and two small children in their house on a beautiful bluff overlooking the Missouri River.